Spend 3 hours exploring the Grand Canyon South rim. Our drivers care about you. Yes, our drivers and tour guides that are professional, knowledgeable, and friendly. Are food and beverages included in the small group South rim tour? We have the ultimate Las Vegas Grand Canyon Tour. Go the distance with Grand Canyon Destinations! Providing once-in-a-lifetime experiences with nonstop service from Las Vegas to the Grand Canyon South Rim and national treasure the Hoover Dam, the day trip will delight you with surprises around every corner. 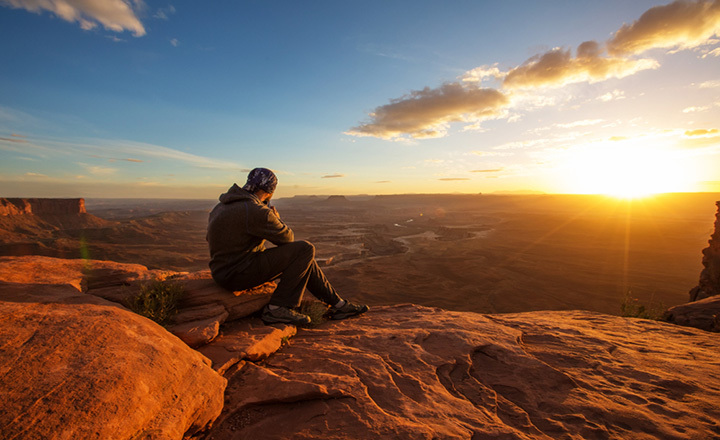 Taking a trip from the chaos of Las Vegas to Grand Canyon serenity can be just the escape you need during your stay in Sin City. Your Grand Canyon tour from Las Vegas begins with a convenient hotel pick-up in our luxurious fleet. Our Mercedes-Benz Sprinters come complete with air conditioning, panoramic windows, food, and beverages. Starting with the first stop of the day, our experienced and friendly staff will guide you to the picture taking opportunities as travelers set out to embark on the man-made wonder, Hoover Dam. The excitement doesn’t stop there! Along the way, we’ll visit other recognizable sites, like traveling on the iconic Route 66 that includes a gift shop and a comfort stop in Seligman, Arizona. A blast from the past brings travelers up close and personal to famous signs and vintage cars from the 40’s and 50’s. 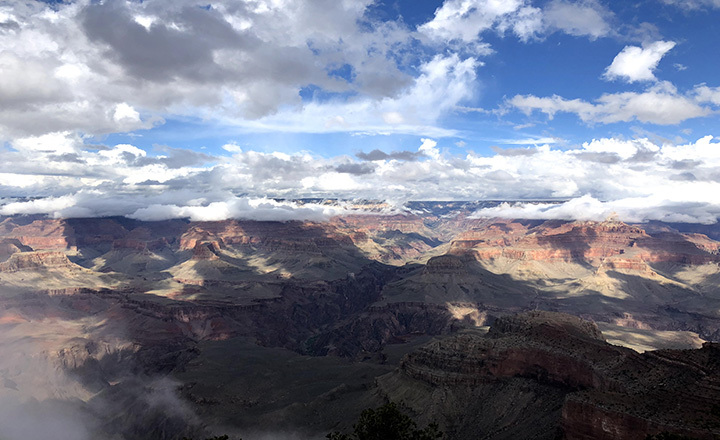 During a smooth and comfortable day trip travelers will arrive at Grand Canyon National Park‘s South rim, one of the most known and visited Grand Canyon tours locations. Prepare for spectacular views and breathtaking landscapes that will last you a lifetime. You will have to see it to believe it! 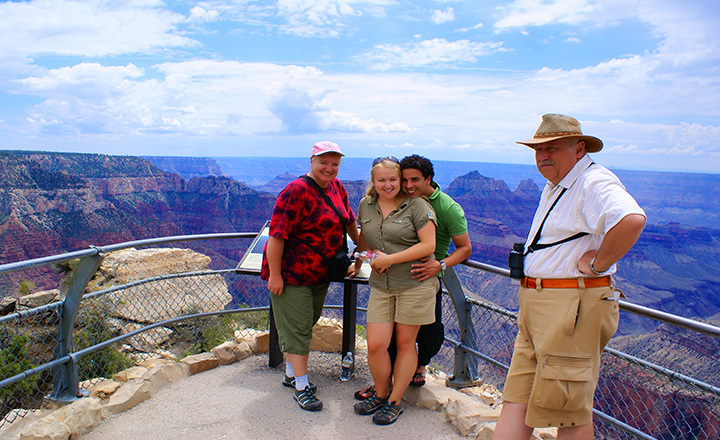 Your small group guide will point out the many South rim points and the history behind each one.If you want to really get the most out of your small group Grand Canyon tour then walk with your guide between Mather’s point and Bright Angel Lodge. Walk along the paved road between the two points and enjoy the absolutely breathtaking views, with the absolute best photo opportunities. On the trip back, enjoy the short Grand Canyon to Las Vegas road trip with a stop in Kingman, Arizona. Here, West Coast foodies and burger lovers at heart can savor the California-based In-N-Out Burger for one of their famous burgers (vegetarian options also available). The day concludes with sweeping nighttime views of Las Vegas’ twinkling lights. As you descend in to Las Vegas from the Grand Canyon tour your mind will be filled with just how incredible your South Rim trip was. From experience to convenience, we give the best tours of Grand Canyon attractions that Las Vegas has to offer. Make your own excursion to Las Vegas a memorable one. Choose Grand Canyon Destinations where a Grand Canyon tour from Vegas is only a moment away! We offer more Grand Canyon visitor tours from Las Vegas, NV.